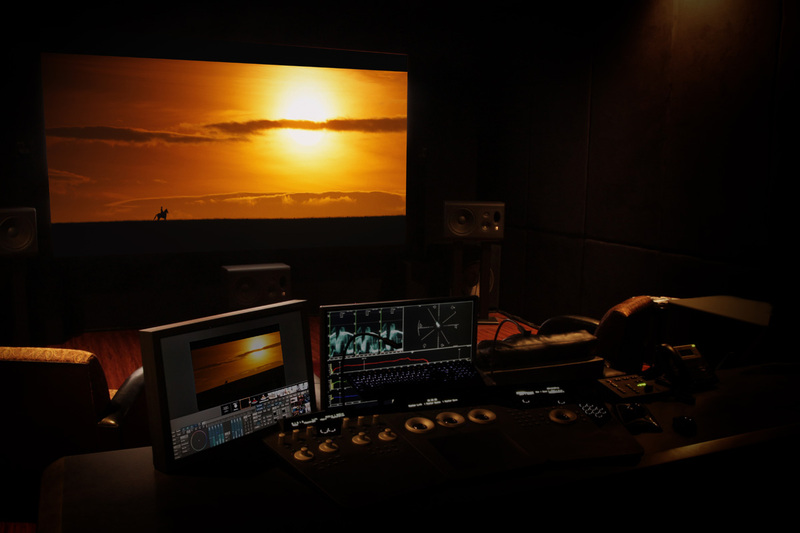 4K, 2K, UHD, and HD color grading and creative “look” development utilizing Autodesk Lustre high performance software color grading stations and Blackmagic Designs da Vinci Resolve color correctors. With creative toolsets that include primary and secondary color grading, freehand shapes and geometries, keying, tracking and masking, these GPU accelerated systems provide remarkable control over final color for theatrical feature film and television projects. Our theatre is equipped with an NEC 2K projector and 7.1 Dolby digital sound.